Virtual reality has become a literal reality, and it’s one of the hottest new developments in today’s technology. You can find it being used in everything from vr games to instructional how-tos to vr apps to virtual reality story-telling behind one of the best-selling organic soap brands in the world. I mention the soap since Dr. Bronner’s was the first virtual reality video project I had the thrill of completing. And yes, it was certainly a thrill. The 6-minute virtual reality video provides information, entertainment, a brief company history – and the chance for viewers to enjoy a full 360-degree view in all directions throughout the entire video. Make sure you “grab” the screen to get the full surround experience, and please feel free to jump around the video to the different scenes to see some very cool effects. Of course, if you view this in a VR headset, you can just look around to see the full view. You’re treated to outdoor festivities (complete with a line of costumed dancers), aisles of soap products, videos playing in the background of the video you’re watching, and, perhaps most importantly, a grand tour of Dr. Bronner’s headquarters in Vista, California. Promoting soap companies is just one of the many ways virtual reality can and is already being used for the benefit of companies, their audiences – and VO talent who are hired on to be an integral part of the VR projects. 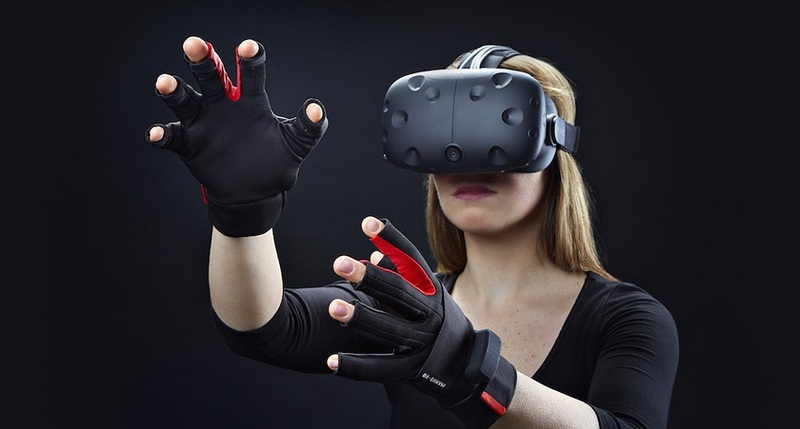 With a well-crafted script that tells a compelling story, VR marketing campaigns can be hugely compelling for just about any brand. Dr. Bronner’s and other companies have already figured that out, with another fun example coming from the cheese company Boursin. While Dr. Bronner’s gives you a 360-degree view of headquarters and festivities, the Boursin VR video gives you a 360-view of the inside of a fridge where Boursin cheese hangs out with other delectable goodies. Dr. Bronner’s told the company story using VR video, and storytelling of any type can get a huge boost with virtual reality technology. A solid example comes from the New York Times, with a VR documentary entitled “Displaced.” The VR video tells the story of 30 million children driven from their homes due to the ravages of war, letting viewers do more than just read about what it’s like. Viewing the NYT video requires downloading the NYTVR app, which you can do here. Training videos offer another way to use virtual reality technology for awesome results. VR training videos can include yet go far beyond car mechanics and electrical wiring projects. They can be used to provide driving or flight training without the hazard of putting novices behind the controls. They can also be used to help doctors learn complicated surgical procedures without a risk to patients. Mercedes created an app that lets you test drive its E-Class. While it’s technically a marketing video, it does give you an idea of what a VR driving video could look like. Below is the VR test drive video and be sure to grab the screen to change the view as you go along. My family knows the excitement of virtual reality gaming firsthand, thanks to our daughter Natalie, who invested about $2,000 of her VO gig money into an HTC Vive VR System last summer. We’ve all been playing VR now for over a year. This Vive VR demo video captures the experience of the Vive pretty well. It is truly a mind-blowing experience to interact with some of these virtual environments. And, we are at just the beginning of content creation. It will just keep getting better and better as time goes by. Travelers pick vacation destinations by letting them “visit” possible locations before they choose. People cope with post-traumatic stress disorder and phobias, using varying levels of exposure therapy until they’re able to deal with feared objects, places or circumstances. Patients undergo physical rehabilitation, learning tasks in a clinical setting before applying them out in the real world. Patients cope with pain by using distraction therapy while undergoing painful procedures. People manage anxiety and reduce anxiety attacks, with a VR game that comes with a wearable belt that teaches and encourages diaphragmatic breathing. As extensive and amazing as these examples may be, they’re only the starting point of what virtual reality is poised to achieve. Keep in mind, however, the high-end technology of VR alone isn’t necessarily enough to attract and then keep the attention of your audience. You also need a quality script, a solid story and, in many cases, the addition of a voice over actor who can add another layer of intrigue to an already intriguing project.